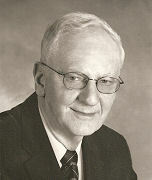 Eugene A. Peloquin was born during the height of the Great Depression,.in the heart of the Social District of Woonsocket. Gene was the youngest of eight children born to Marie Louise (Tellier) and Armand Peloquin. Gene attended St. Ann School in Woonsocket, graduated from Mount Saint Charles Academy, earned an associate degree from Our Lady of Providence Seminary. He received a Bachelor of Arts degree from Providence College and earned his master’s in education from Boston University. He enjoyed a 31-year career in the North Smithfield school system, where he worked as both a teacher and a principal until his retirment in 1989. Gene also served his country honorably for 33 years as an officer in the U.S. Navy and Navy Reserve. He graduated from Officers Candidate School in Newport in 1956 and was commissioned an ensign. While serving on active duty, Gene served aboard the USS Fiske, was assignd to the staff of Commander Destroyer Squadron 8 aboard the USS Decatur with deployments to the Mediterranean and North Atlantic. As a member of the Navy Reserve, Gene was a Combat Information Center Officer, he graduated from the U.S. Naval Justice School and served as a ship’s legal officer and prosecutor for Courts Martial. He served as a unit commanding officer for seven years and retired in 1981 with the rank of Captain. He was a teacher and principal of the Fire Station and Eleanor Howard Kindergartens, Bushee, Union Village, Andrews (a one-room schoolhouse), Kendall-Dean, and Dr. Harry L. Halliwell schools in North Smithfield. Gene is a volunteer at the Museum of Work and Culture in Woonsocket, something he has done since the museum opened in 1997. For the past ten years he has devoted much time to chronicaling the story of Catholic education. The so-called “Nun Project” is a an effort in which Gene is most proud. He worked with the leadership of the museum and a committee of religious, representing the many different orders who served the northern Rhode Island area to compile yearbooks, photographs and other historical information about the parochial schools, most of which have been closed for many years. Gene has also spearheaded a number of projects that saluted military veterans. The most prominent was the Tribute to the Greatest Generation in 2004. The program, held at the Stadium Theatre in Woonsocket, honored veterans of World War II. He also was involved in a project in which Woonsocket High School issued diplomas to World War II veterans in the city who had not completed high school because they volunteered for military service.